Sydney - Skipper Michael Clarke thinks Australia have not yet peaked at the Cricket World Cup despite reaching the final against neighbours New Zealand by beating reigning champions India on Thursday. Steve Smith scored 105 to fire Australia to 328 for seven on their way to dethroning India with a 95-run victory at Sydney Cricket Ground, giving the co-hosts a shot at a fifth title in Melbourne on Sunday. 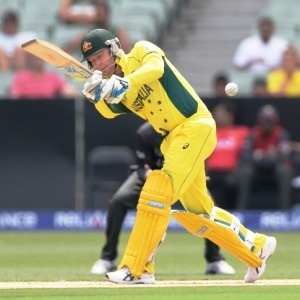 "The boys played some outstanding cricket," Clarke said. "Smithy was exceptional once again... I was really proud of the execution under pressure from our bowlers. "Everybody chipped in, once again a lot of the guys sacrificed themselves for the team. "(But) I still don't think we played the perfect game yet. We have improved every game and now we are excited to be in the final. "It's a wonderful achievement. We know it's going to be tough against New Zealand." Unlike many of the dominant Australian World Cup sides of the past, Clarke's team have not reached the final unbeaten having already lost to New Zealand by one wicket in the pool stage. "The most pleasing thing for me was the way we were trying. Our preparation was outstanding, the boys were turning up at the training every single day trying to try and become better. Our results show that."